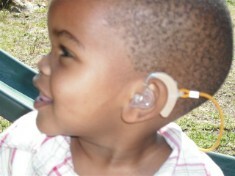 Liso Musheshwe is a little 2 year old boy from Paarl and has a older sister who also has a cochlear implant . Liso has been fitted with hearing aids but these are of little benefit to him and the crucial window period, when the cochlear implant will be of most benefit, is closing fast. Liso will be the first child to benefit from the funds that we will raise with your help. He will hear his mother tell him bedtime stories, he will be able to share in laughter with his friends and he will even be able to experience the joy of music (and hear the siyashova song that helped get him his implant). 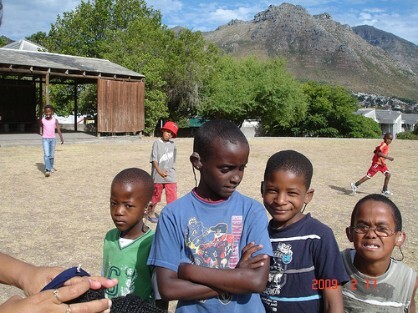 The Hear Us Foundation (originally known as "Hear") was established in 2001 in association with the Tygerberg Hospital Cochlear Implant Unit. To date they have helped over 60 implantees and their fundraising assists with the costs of implants and the support of staff within the Unit. Hear Us also provides support and information to patients, parents and professionals. Hear Us covers its own overheads, has no commission structure and relies solely on private fundraising efforts and donations. Their vision is to assist children and adults to obtain a cochlear implant in order to facilitate speech therapy and allow the deaf to integrate into the hearing world. Hear Us is a registered and regulated non-profit organisation and operates in close association with the Cochlear Implant Unit at TygerBerg Hospital affiliated to the University of Stellenbosch in Cape Town. Hearing impairment is the single most common disability in the world and is cause by damage to tiny hairs in the cochlear. International data suggests that the incidence of the most severe form of hearing loss (profound) is about 7 out of every 1000 babies born. In South Africa these children usually grow up in silence, ostracised by their community with very limited prospects in life. But a very few are lucky. Bionic ears are available to those who can afford it. These miracle devices called “cochlear implants” are surgically implanted as early as possible in children with complete hearing loss. The device bypasses the damaged cochlear and gives their brain access to sounds so they can then be taught to hear and speak. The younger the child is when they received the implant, the better the result. With your assistance we can provide them with the tools to live a life of independence. 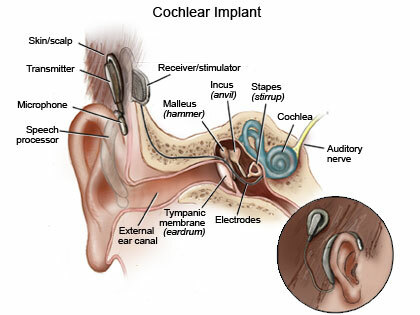 Cochlear implants are a true miracle of modern science with equally remarkable results. Internal components - the receiver, surgically implanted in the mastoid bone behind the ear, with electronics inserted into the inner ear or cochlear. External components - the microphone and speech processor convert sound into an electrical signal which is sent to the electrodes in the inner ear. These then send the signal via the auditory nerve to the brain, where it is perceived as sound. The implant device itself costs R220 000 (US$32,000) – which is exclusive of surgeon fees and other hospital expenses, easily R50 000 (US$7,000) or more. Ideally, for the implant to be of most benefit, it needs to be placed very early in life, but sadly most families do not have the necessary funds available for this life-altering procedure. Hear Us would like to establish a trust fund in order to support cochlear implant operations on a yearly basis. To create this trust fund, substantial capital injection is required and this is our reason for embarking upon this adventure. 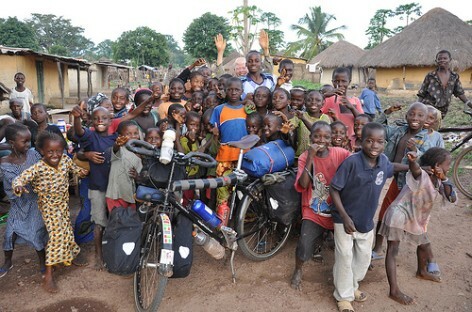 Whilst the trust fund is a long term sustainable project, we would also like to make an immediate difference. In conjunction with Hear Us, we have agreed that the first R50 000 (US$7,000) raised will go to a specially selected child, Jody Daniels, who desperately requires this additional amount to proceed with her operation. 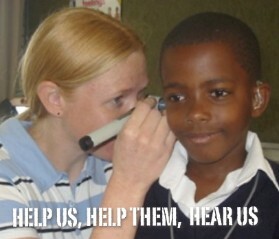 Our combined efforts will show an immediate result – a child will be able to hear. All money raised above the initial R50 000 (US$7,000) will go directly into the Hear Us trust fund. Interest generated on the trust fund’s accrued capital will subsequently support further cochlear implant operations. This is a sustainable initiative and forms a very important aspect of the project. Go straight to the secure backabuddy website to make your contribution.